November 2014 – Bring it on life! I love mehendi designing. It’s a passion past-time for me lately. Daddy always told me, beti you should learn mehendi designing. I don’t remember why he wanted me to learn, but he wanted me to do it. I have always adored the lovely ladies who constantly applied it for me. First my mamma, then Seher Baji (my neighbour from Nagpur) and lastly a slightly arrogant neighbour aunty (she refused to teach the art of applying it). Others who spent their valuable time to apply it for me included my Fouzia Aunty, my cousin sis Ada, Arshiya Aunty, a girl named Nasreen opposite to my house. I mention all their names because to me, applying mehendi is an honour, a great art, and one of my biggest passion. In one way or the other I have looked upto them to do it myself someday. My lovely artistic sis Farheen, who is a creative genius, used to be the one who always took the initiative to try it herself. 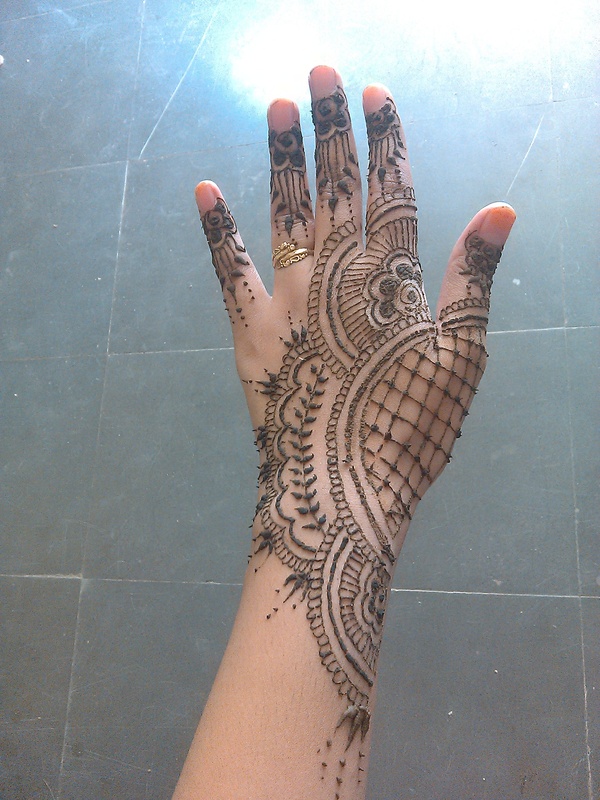 Why I love mehendi?, I believe it has something to do with love and romance. Some sort of link with beauty and elegance. 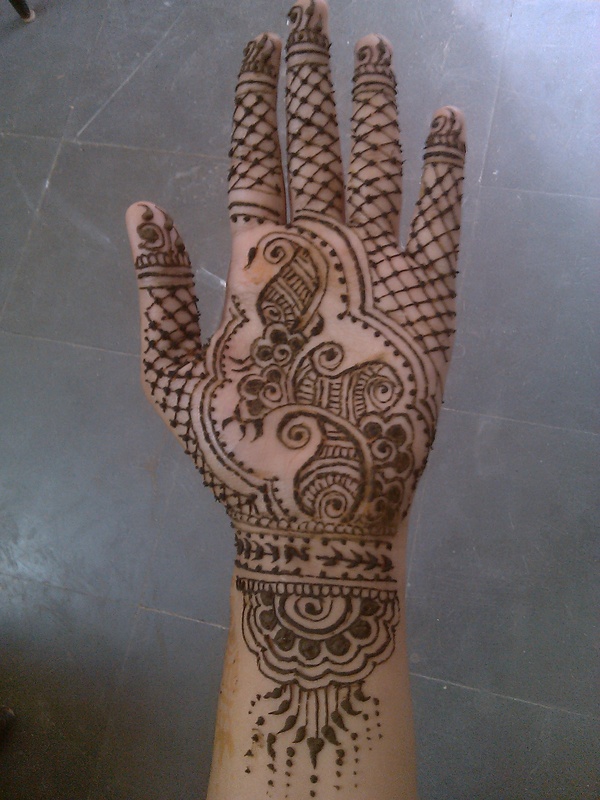 Of all the subtle ways I use to woo my hubby, mehendi is one of them. I hide his name initials in the design and he gets to guess it. A tiny moment of happiness for me watching him guess. 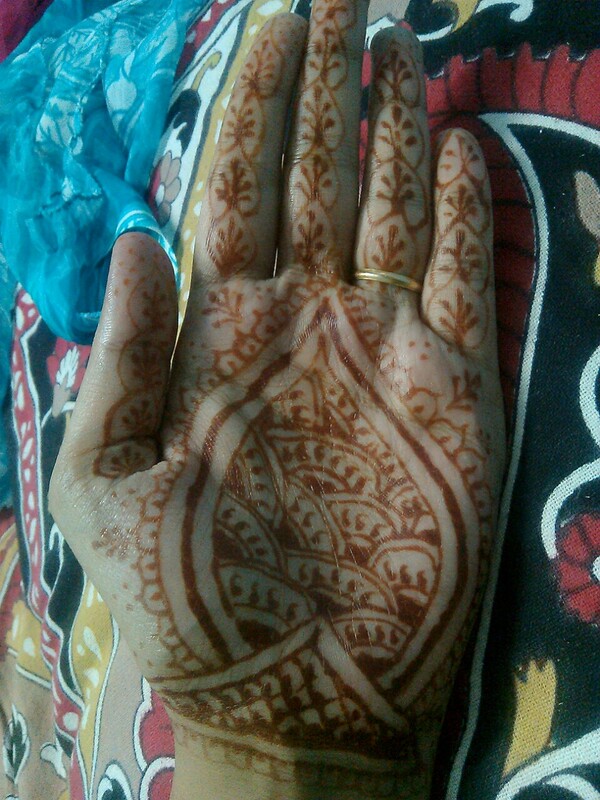 Anyway, so here I am on the path of mastering the art of mehendi. Some I design by myself,some are semi or whole replicas. I have always loved to stitch. It’s a kind of work that gives immense satisfaction on completion. It gives me a feeling of accomplishment. It’s been a long time since I did any stitching. So my lovely creative mom gave me an idea. 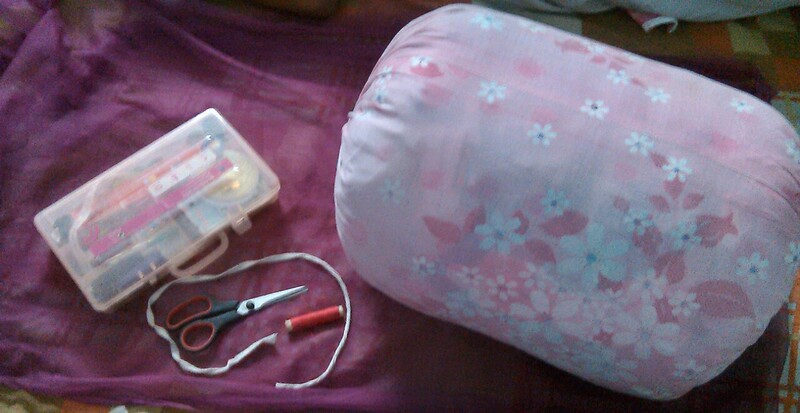 Working on which, I sewed up this round pillow also called as ‘gau/gol takiya’ in our dialect. I used an old pillow cover and re-stitched it. Clothes that my daughter outgrew became its filling. This pillow is used as an arm rest or back rest.